On September 19, the State Department announced a 5-year extension of a Memorandum of Understanding (MOU) with the government of Mali. The MOU prohibits the importation of virtually all ancient art from that country – and the accompanying Mali Designated List expands the scope of earlier MOUs to include a block on imports of manuscripts dating from the 12th to the 20th century as “ethnological materials.” In renewing and expanding the MOU with Mali, for the fourth time since 2002, the Department of State has cut off US museums and cultural institutions, as well as private collectors and individuals who share a Malian heritage, from acquiring art or artifacts from that country. And it has signed these four agreements, cutting off access for a total of 20 years, without once meeting the required criteria under the Cultural Property Implementation Act (CPIA). There is no question that the ancient manuscripts of Timbuku deserve to be preserved, and that the libraries of Timbuktu are the proper place for them. Not only the art world, but the world in general knows this. 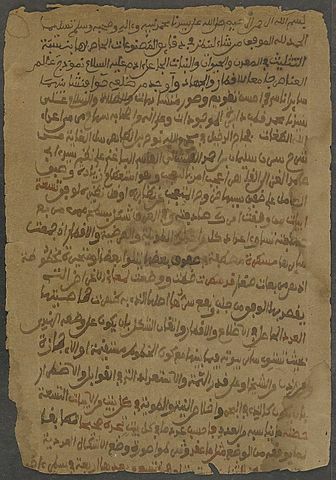 There have been multiple virtual and photographic exhibitions about the extraordinary libraries of Timbuktu in the US and Europe, and many dozens of headline news articles describing the brutal destruction of Muslim shrines by extremists in Timbuktu and the heroic efforts by the city’s traditional hereditary librarians to safeguard the thousands of ancient manuscripts under their care. But it was neither necessary nor lawful to impose import restrictions on these manuscripts when there is no evidence that a single manuscript has been brought to the US for sale and the other circumstances that call for an agreement under the Cultural Property Implementation Act are not met. Why pass a law against something that is not happening and is not likely to happen? The Cultural Property Implementation Act works in two ways. It makes trade in art and artifacts stolen from the inventory of an institution, museum, church, or library illegal without the necessity of imposing any trade restrictions. Second, it allows the US to impose trade restriction in certain limited situations. In order to meet the legal requirements of the statute, ALL the criteria above must be met. There is no evidence showing this is true. The Association of Art Museum Directors (AAMD) submitted comments on the proposed MOU back in March of 2017. However, the required federal notice was issued only five days prior to the deadline for written comments, and the federal notice only mentioned renewal of restrictions on antiquities up to the mid-18th century. Since there was no mention of manuscripts or ethnographic materials, the AAMD did not address this question. Promote agreements for academic exchanges and specific study programs between museums and universities of Mali and American art museums. There is no indication yet from the Department of State that the MOU just signed with Mali requires any such defined commitment by Mali to foster cultural exchange and encourage both exhibition and long-term loans, or to participate with US museums in actually saving Mali’s irreplaceable cultural heritage.